Standardized assessments test our children, our teachers, our schools?and increasingly, our patience. Your child is more than a score. But in the last twenty years, schools have dramatically increased standardized testing, sacrificing hours of classroom time. What is the cost to students, teachers, and families? How do we preserve space for self-directed learning and development?especially when we still want all children to hit the mark? The Test explores all sides of this problem?where these tests came from, their limitations and flaws, and ultimately what parents, teachers, and concerned citizens can do. It recounts the shocking history and tempestuous politics of testing and borrows strategies from fields as diverse as games, neuroscience, and ancient philosophy to help children cope. It presents the stories of families, teachers, and schools maneuvering within and beyond the existing educational system, playing and winning the testing game. And it offers a glimpse into a future of better tests. 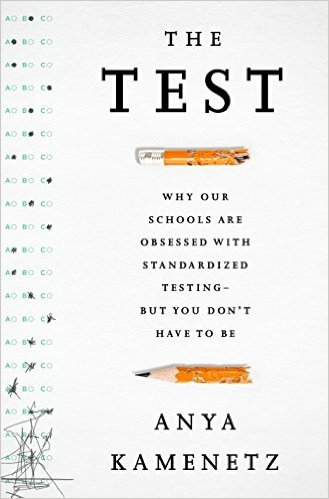 With an expert's depth, a writer's flair, and a hacker's creativity, Anya Kamenetz has written an essential book for any parent who has wondered: what do I do about all these tests?